In no particular order: Bruce Lee, Michael Jordan, Allen Ling and Tiger Woods. These are the dudes that have inspired me. 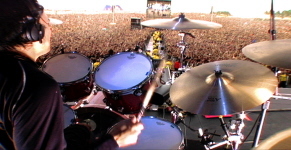 Because of Allen’s work I killed it at this gig. Thanks for being a true friend. 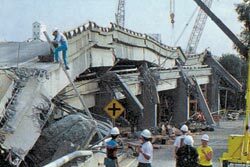 I spent many physical therapy sessions to rehabilitate my injuries sustained from the collapse of the Cypress Freeway (big 8.3 quake of 1989). 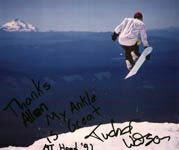 Allen and all the staff at PTI were vital to my recovery. They were knowledgeable, knew when to be gentle and when to be encouraging. I’ve been to other clinics before and has found the right therapists really made a difference. PTI is my PT clinic of choice! Thanks Allen, my ankle feels great. To Jason & the PTI staff, thanks to you, I still get a kick out of life. Thanks for your help in keeping this old body going! I spent about two intense weeks with Allen, Hillevi, and Sid, recovering from the most painful and lingering injury of my football career. They were extremely concerned, attentive, and knowledgeable in their rehabilitation of my condition. I was surprised that I was able to play effectively without pain at the Shriner’s game a week later. I am extremely grateful to these professionals for their time and efforts and highly recommend them to any player out there. Thanks for your great work fixing my shoulder. 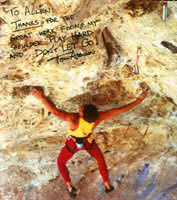 Play hard and don’t let go! PT Innovations really took the time to tailor their approach to meet the unique needs of my injury and my training regime. Everyone at PT Innovations from the head Therapist to the newest intern always puts the patient’s needs first. The staff’s philosophy and work ethic successfully restored the full range of motion and strength in my shoulder. Allen has been my physical therapist for the past three years during which time I’ve had to rehabilitate from hip replacement surgery and other physical problems. He is the best physical therapist I have ever used and the only one I trust to work with me. He is currently working with me on recovering from a second surgery on my hip. His work is of the highest professional standard and extraordinarily helpful to me. Thanks Allen for getting me back in the trail racing game! Thank you very much to both Physical Therapy Innovations and Pain & Rehabilitative Consultants Medical Group- Dr. Jamasbi for all the help in healing. Back in 2006, I broke my right hip and needed hip replacement – the operation failed, and so again, in 2008, a repair of the damaged hip was attempted – still not right! Anyone out there who knows my personal struggle with my life ending as I knew it – no more rollerblading, ice skating, bike riding, downhill snow skiing – saw all the fun end. I feel I owe my life to the offices of Allen Ling of PT Innovations in Orinda CA, and Pain and Rehab Offices of Dr. Jamasbi in Berkeley CA. Together, they took me the quickest route to get me back up on my feet and almost off my crutches and cains forever! So, here’s a great big hug and thank you for giving me my life back. Everyday, I feel like it’s worth the rise-out-of-bed because my body is healing. Physical Therapy and the Medtronic device, together, have moved me to the point of enjoying life again – more easy-going….. Thank you Allen Ling of PT Innovations and your awesome/incredible physical therapist(s) at PT Innovations. I want to give a shout out to Sam. 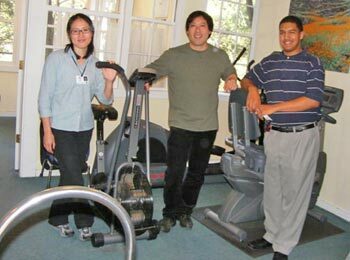 As a gym member, I am frequently in both the Oakland and El Cerrito facilities. I always feel confident about the cleanliness of all of the equipment I use because I see how devoted Sam is to taking care of your space. When we so often hear of bugs getting passed along at gyms, it is reassuring to know how clean PTI is. Thanks Sam!!! PT Innovations, particularly Brian, was outstanding in providing me with an education in stretching, strengthening, and posture that has helped me manage a back injury. Brian is friendly, knowledgeable, and good at explaining. The desk staff and other therapists were all very friendly and helpful. My experience with PTI has been extremely satisfied. I’ve been dealing with sciatic nerve pain and Han is a great therapist that has helped me out extremely. I did not have much faith when I first was told by my physician to try physical therapy and I’m glad I did. In office and aquatic visits are both helpful. I have even continued independent aquatic classes of how great they work with me and also of how much faster I recuperate. Staff is very friendly especially the therapists. My name is Tenzin Dolma and I was one of your patient. Today I am writing regarding my therapist, Emily Brown. Ms. Brown is very passionate about her career and very compassionate with her patients. I believe that she expertise in her field. For your company to have a worker like her is something your company should be proud of. To have a successful company there needs to be good workers which you guys have. For me to have met therapist like her, I feel fortunate. Went in due to pain in my left elbow on setting up for squatting – pretty big deal for me given that I compete powerlifting and the pain had gotten so bad that I had to spend 15-20 minutes massaging my arm before each training session just to be able to get under the bar to start warming up. Session was with Kelly, at the Albany (Kearney Avenue) location. Inside of 5 minutes he’d done several basic tests for strength and mobility and diagnosed a nerve entrapment issue in my neck. Inside of another 5 he’d done some very hard massage on my back and some extremely painful (_IN A GOOD WAY_) things to the muscles surrounding my neck on the left side, which resulted in dramatic improvements in all of the tests and an elbow that was completely pain-free for the following 6 hours and still hurts less a day later than it did when I walked in. Another 5 and he’d run me through what I should be doing at home to fix the issue long-term. Another 10 and we’d figured exactly what I was doing to cause the issue, what I needed to change, and what I should keep the same (if you’re interested, it was failing to maintain a neutral neck position when squatting). 10 minutes for a complete description of what I was doing to cause the problem and what I should change to stop it from coming back. This also resulted in a lot of areas that were mysteriously weak (particularly my lats) getting a lot stronger immediately – apparently they’re associated with the same nerve, so freeing it up allows them to activate more effectively. Lat function was one of the tests he used in the diagnosis, and given the improvement I think he may have identified (and reversed) the reason I went from doing strict pull-ups in sets of 10 a year ago to struggling to get 2 at the end of the summer. I had a great experience at PT Innovations. the Aquatherapy at the plunge has been a Godsend. My therapist, Kelly & Danny were very caring and sensitive to my needs. I also had an awesome pain relieving massage from Chris. It’s a wonderful feeling to know that your therapist really show empathy, professionalism and quality service. I have been to Physical Therapy Innovations for a couple of injuries over a period of about 5 years. I have never received anything but the most professional, courteous, enthusiastic service there. They stand out because the people who have helped me there, including at the front desk, seem to care so much about me getting well. They are always prepared with my appointment info and chart. The director, Allen Ling, sets the mark high, requiring that the staff really try to work with each patient in what I thought was a holistic fashion. I had gotten depressed about my knee/foot injury which had severely limited my mobility over the past 2 years. As a former jogger, I know not exercising like I used to was really impacting the way I saw myself. The director, Allen, asked me many questions and really got to know my needs, desires and the long-term impact on my life of the injury. His treatment, which employed a number of different modalities, really helped me regain my self-confidence and hold on to the vision of how physically fit I was and how important that was to my sense of self and most importantly to believe that I was on my way to being well again. He asked me for a lot of feedback in terms of how each modality helped me heal. He used physically therapy, massage on other muscles that affected my foot, pilates and exercise. He knows a lot about sports therapy and has completed some neuro-muscular training so I was surprised at what he told me about my running and sore spots in my calf that had developed I didn’t know about from running that were still affecting my foot injury which he worked on. I am so grateful for the healing that took place there and to feel so many years younger after Physical Therapy Innovations worked on me! I am very grateful. I have nothing but the highest regard for you and your skilled staff who have contributed to my recovery and rehabilitation.It’s been a very uplifting and inspirational experience to have your team look after me. I know I don’t have to tell you how important it is to have trust and respect and confidence in one’s care providers. It makes all the difference in the world in terms of recovery. Special thanks to Jim, Doug, and Christine, who treated me with the utmost skill, attention and talent. Christopher is amazing (in the el cerrito office). I just had full left hip replacement and am healing, but need full right hip replacement done next. My back is taking all the pain from my healing hip and other bad hip. Christopher has been able to break-up many solid/hard muscles in my back within one session. Last time I went, he cured the numbness in my right arm (due to wrong use of crutches) – he is extremely skilled with muscle repair/separation. I am a solid block of cement, and he is the miracle that is able to break up this solid block of pain. Thank you PT Innovations for employing such an amazing employee who really understands the pain I am having. Thank you too, Allen for helping me see the benefits of having my hips done now rather than later. I am starting to feel better just knowing that you are on my side. I’m 7 weeks out from ACL surgery, and Lee managed to relieve some fluid buildup that had been reshaping all over my leg for weeks. My session was last Friday and today was the first day I came home from work and didn’t have a giant ridge of swelling anywhere. It was quite the different experience than Kaiser PT, which, in 2 visits, has only consisted of going over how to do some exercises and then making sure I do them correctly (nothing wrong with that, but PTI definitely felt like more of a treat). Overall, PTI was clean and had a range of patients from rehabbing athletes to older folks. A very friendly atmosphere and all sorts of equipment. And unlike Kaiser, they keep it warm and cozy inside! I was very impressed by the personnel who worked here and saw me and the quality of care I received. You guys are great! I have been going to PTI for 4 months. I couldn’t recommend them more. My PTs, Danny & Christine Allen, are fabulous. They listen and give helpful tips & exercises. The masseuse named Michel Rodriguez has such an intuitive understanding of the body and injury. He really helped with my neck & back issues . I highly recommend a session with him even if you don’t have a prescription! He is also a certified personal trainer, so I have had a few sessions with him which were great. He showed me several core-strengthening exercises I can do at home, as well as the CORRECT way to use the gym equipment. I had no idea I was doing it so wrong! I also didn’t know that strengthening the core would help with back problems, which it has! When you consider their gym and aquatic therapy offerings this place is a winner! The front desk staff is also nice and welcoming, unlike some other places I’ve been. Although I was hesitant to add one more appointment to my hectic life I am glad that I added PTI, together they’ve really helped me get back in working order- and in a short time frame! As a family, we have loved the quality of care we received at PTI. The therapists are knowledgeable, skillful and competent. My daughters, who play the violin and viola were treated for tendonitis & neck strain; my husband for work-related forearm tendonitis, and I have been in for tension & stressrelated neck/shoulder pain. PTI has been great for all of us! The best part of PTI is the staff. Besides knowing exactly what to do, my therapist was one of the most gentle and caring people I have ever known. Using massage, stretches and exercise, along with a variety of the most modern equipment,I experienced relief from pain and swelling for the first time in ten months. With my numerous injuries and joint replacements, aquatic therapy also helped me immensely. Working with my therapist in the pool, along with other people with injuries, was a physically and socially rejuvenating experience. Dear Allen: I am writing today to tell you how grateful I am to have been referred to PT Innovations and its aqua-therapy program. I came to you with a long list of disabling symptoms and thanks to you, Danny, Michel, Jim, Christine and Heather I have been making slow but steady progress and I am feeling noticeably better. I am certain that my progress would not have been possible in the gym of a conventional physical therapy program. The staff of therapists has been wonderful to work with, knowledgeable and caring, the office is well-run and efficient, and it is a pleasure to be a PT Innovations patient. My doctor referred me to Physical Therapy Innovations twice: once for a back problem and a second time for an auto-immune condition called Capulitis or Frozen Shoulders. My therapist worked patiently with me, giving me clear, written instructions for home exercises. She demonstrated real caring and concern for me, and I always felt I had her full attention and then some. She is well trained, professional, and very capable. You won’t be sorry spending your health care dollars at Physical Therapy Innovations. They are a quality business. This is a great place. The physical therapists are extremely helpful and the business is well run. They’ve got great equipment and you can use their gym while you are a patient. I’ve been going to Physical Therapy Innovations off and on for almost three years for treatment of a bad back. They’ve been exceptionally helpful and while their location is modest from the outside, you’ll find a wealth of talent and great equipment on the inside. With the fairly recent addition of a gym, you’ve got everything you need to regain or build strength. The staff are excellent. Despite some normal turnover, all of the physical therapists and PA assistants are great. I work a lot with Jim and with Emily, both of whom have a wealth of experience and really teach you the exercises and endurance training you need for everyday living. Physical Therapy Innovations is a life-saver for me following two major back surgeries. It’s the only way I can return to a somewhat normal life. Thanks to Allen Ling and the folks at Physical Therapy Innovations plus numerous coaches and trainers and encouragement from friends, I’m in the best physical shape in years. I’ve been running 10K’s, sprint triathlons, biking events. I have had occasion to visit PTI during two separate periods (more than one appointment each time): once for a hand problem, once for a back problem. Both times I have found PTI to be a model medical provider: competent, excellent “bedside manner,” and generally very professional. Their treatments (which, in my case, has been more to show me stretches I could do to work on my problems than anything else) have been spot-on. In fact, after speaking with a few providers about my hand problem, PTI was the first to give me a stretch that consistently produces immediate relief. I highly recommend them for any physical therapy needs. I give Allen Ling an A++ in Physical Therapy! (I only gave one A+ in my whole career). PTI El Cerrito is top of the line. No frills, just expert care. Danny Dictado, my therapist, is energetic, highly skilled and very well-informed on questions medical. He took a genuine interest in my health and found me expert care for other health problems of mine. He worked effectively on my rotator cuff injury and pronounced me cured in half the time we had expected. I recommend him enthusiastically. 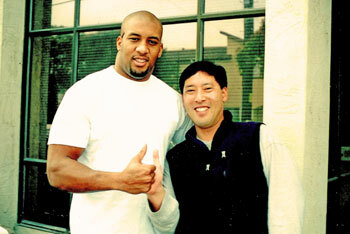 Allen was incredibly helpful rehabilitating an old football injury to my next and upper back. He worked really hard and providing maximum results. He’s passionate about what he does. Loves to help. I enjoyed the conversations we’d have while receiving therapy which lead to a nice friendship. He has a great sense of humor which is helpful while in therapy. Allen embodies total commitment to your recovery. I originally saw Allen for a torn calf muscle. He helped me with that and some chronic problems, including back and elbow pain. He is truly a master of his craft. He has great hands, an encyclopedic knowledge of anatomy, excellent intuition and analytical skills, healthy skepticism, and the ability to approach problems from different directions and to get quick, lasting results without discomfort. His direct therapy and his advice have been invaluable. I’ve seen many PTs: Allen Ling is the best. Allen has been my physical therapist of choice for 10 years. He is diligent, conscientious, empathetic and thorough. Bottom line: he gets results and in a very caring way. I recommend Allen without hesitation. Allen is a big hearted professional that is successful not only because of his knowledge but because of his passion to help. His positive attitude reflects the way he treats those around him – his patients, staff and friends – generously and very well. Allen is insightful, fair and compassionate. Allen’s enthusiasm for life makes him a great all-round individual that is very interesting and fun to be around. Allen takes great pride in helping people to feel better. He’s help me and members of my family to come back from physical injuries with the greatest of care. He’s a great Physical Therapist and he’s got a great clinic. It’s not your usual clinic that feels like a Doctors office – it’s much more inviting. I highly recommend Allen to anyone needing a great PT. Allen is a pro, and a master in his field. He runs a top caliber physical therapy business with compassion for everyone he meets: employees, interns AND patients! In addition, he is consulted by HMO businesses and helps set humane standards for the field here in the bay area. His knowledge is such that he is the PT ‘of choice’ for many doctors that also send their own family members to! It’s been a pleasure experience first-hand his advanced healing techniques and enjoy a quick return to health under his care. Allen is a wonderful physical therapist and his clinic is first rate. I highly recommend his work. My husband, a surgeon, and I have both worked with therapists from PTI for several months. We have had consistently personable attention, get good explanations for our individual issues, have received guidelines for supplementing the physical therapy on our own, have gotten the appointment times we wanted in the location most convenient to us, and have enjoyed our relationship with the people with whom we have worked. Treatments are tailor made to one’s physical challenge, yet PTI staff also takes patients’ emotions and emotional resistance into consideration for both approach and treatment. Allen Ling, owner, makes a point of both serving the community and people’s individual needs, and educating new PTs who need practice hours and supervision. With housing for his student staff and a large facility in El Cerrito, PTI constantly brings “new blood” in for patients, people who have been learning the latest methods for helping with pain, physical recovery from injury and for many, the vagaries of older age. Their new knowledge is tempered with the seasoned wisdom of their supervisors, giving patients the best of both worlds. We could not be more pleased than with our choice of working with Physical Therapy Innovations. I’ve never met an unfriendly face; and always felt very competently served. I have been going to Physical Therapy Innovations for many years for a variety of medical concerns (e. g., torn rotator cuff surgery, broken foot, stress fracture, accidental falls) and have received superb care from Allen Ling and his exceptional team of therapists. I have used the pool therapy program and have worked diligently with the home exercises I received, which have helped to accelerate my recoveries. In addition, I have used PTI’s outdoor/indoor gym facility at the same site. I am 72 years old and have truly appreciated the care I have received as I continue aging. I realize that people can have different experiences with the same facility. However, I cannot imagine how anyone could, after just one visit, think that PTI is a mill–grinding out old people from nursing homes. PTI respectfully treats people of all ages. Some of the patients who have sat with me in the waiting area (never waiting for more than a few minutes) are in their elder years. They appear to be very pleased and grateful for the help they are receiving. I continue to recommend friends to PTI because I am confident they will receive the best treatment possible. I treated with both Allen Ling and Aaron at Physical Therapy Innovations for a surgically repaired Achilles tendon, and I feel that they are both extremely knowledgeable, professional and friendly. They really seemed to care about my well-being, and not only were they very focused and attentive while I was at their offices, but they also were very helpful in providing me with exercises to do on my own at home. I have not done much other PT to which to compare them, but I feel they are first-rate and will definitely return to them for any future PT needs. PT Innovations is one of the best physical therapy offices I have been to. Allen is the 12th in a long line of PTs I have had over the years. Allen’s technique has decreased much of my pain while strengthening surrounding muscles for stability. Treatment is one on one and PT Innovations offers massage therapy, aqua therapy and many locations in the Bay Area to choose from. Would you like to make an appointment? Call our central office at (510) 524-2177 or contact us online.